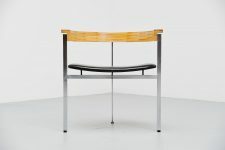 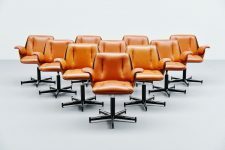 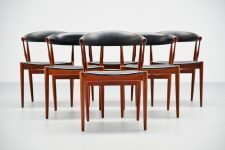 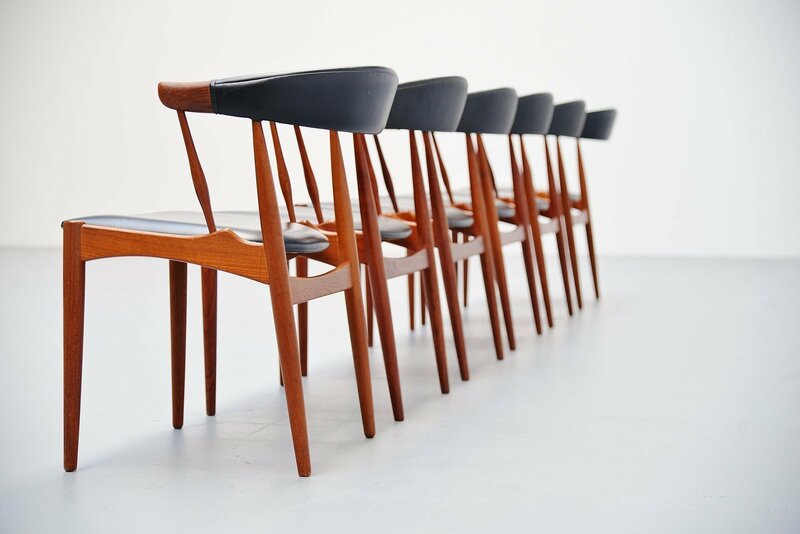 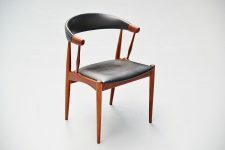 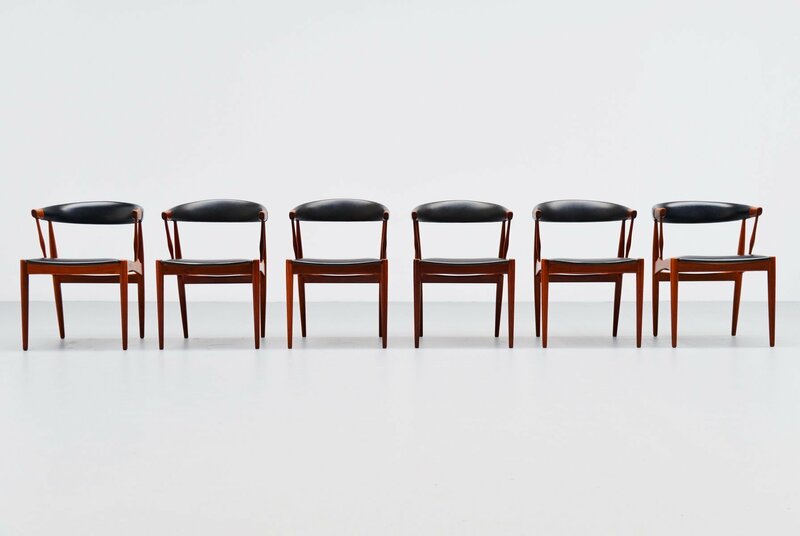 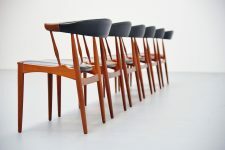 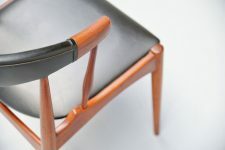 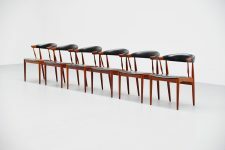 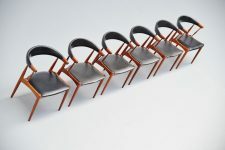 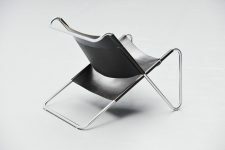 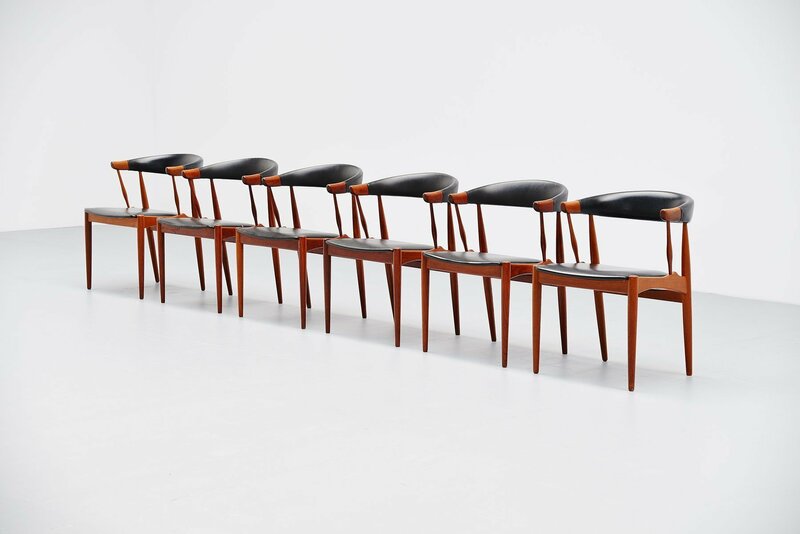 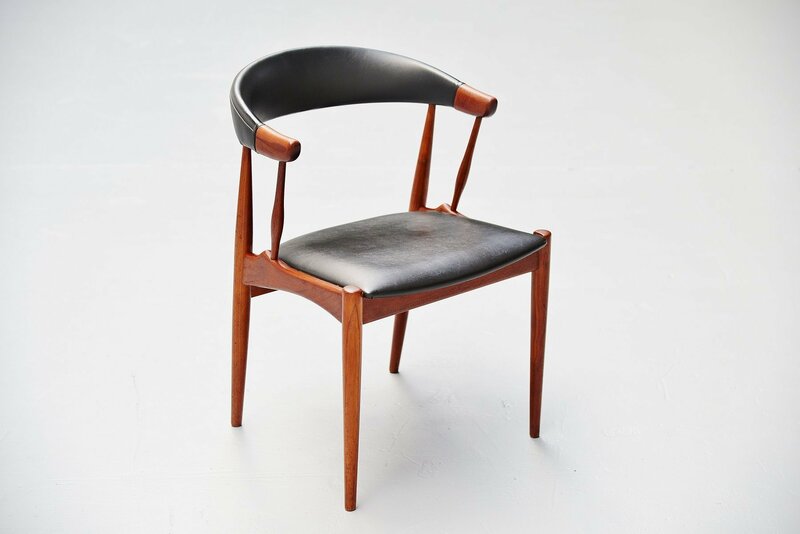 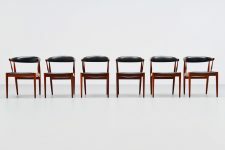 Fantastic set of dining chairs designed by Johannes Andersen for Brdr. 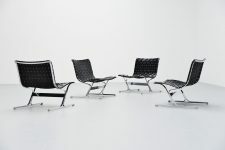 Andersens Møbelfabrik A/S, Denmark 1969. 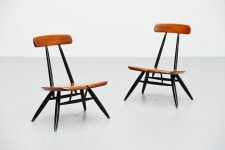 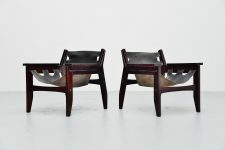 These nicely crafted chairs look a bit like the cowhorn chairs. 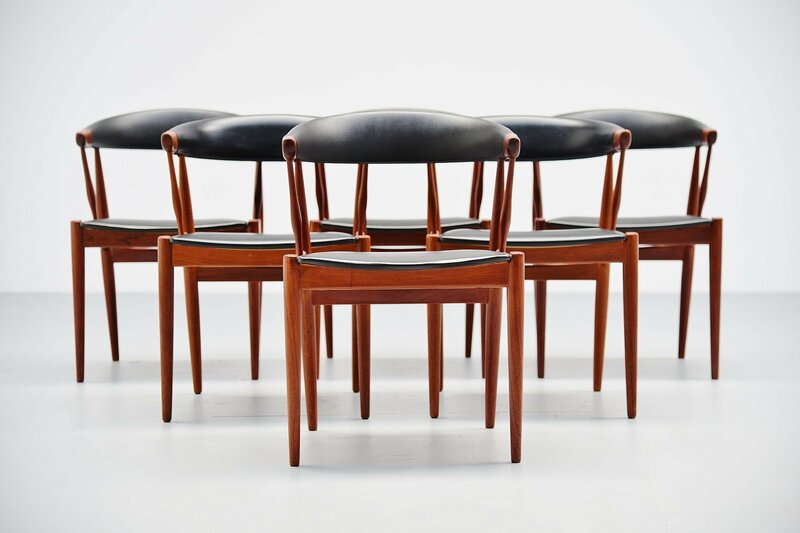 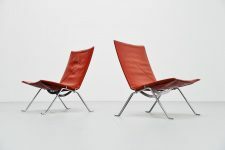 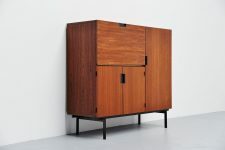 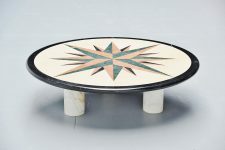 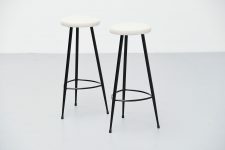 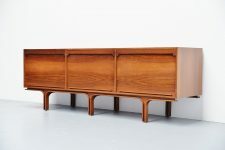 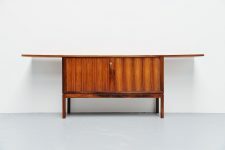 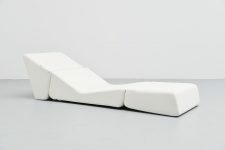 They have solid teak frames and black vinyl upholstery which is original and in very good condition. 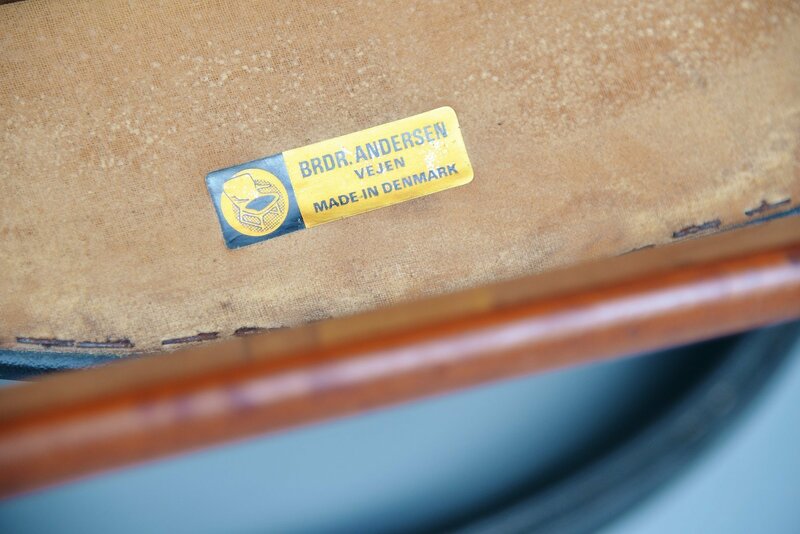 The chairs are marked with the Andersen sticker on the bottom. 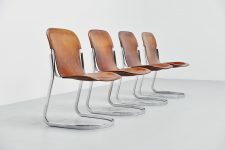 Very nice set of 6 chairs and comfortable seating.